… if it’s not raining. We bought the Vaude Space L 3P for out trekking tour on La Gomera. 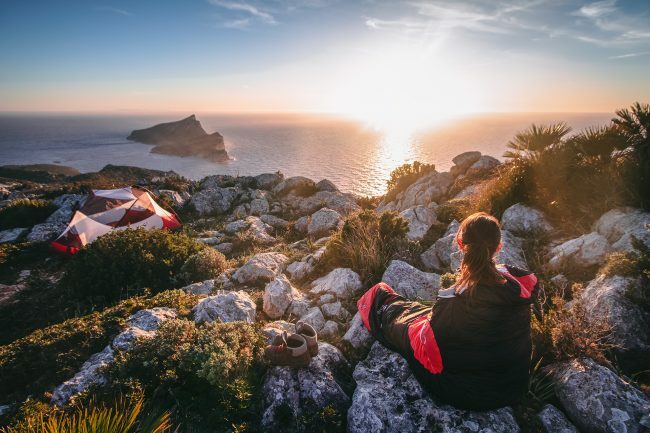 The spacious innerfoot print (3.8 m² | 40.9 sq ft), the height of the inner tent and the fast set up time were decisive arguments when it came to purchasing the tent. With just 3.65 kg (8 lb) it’s a pretty light tent. 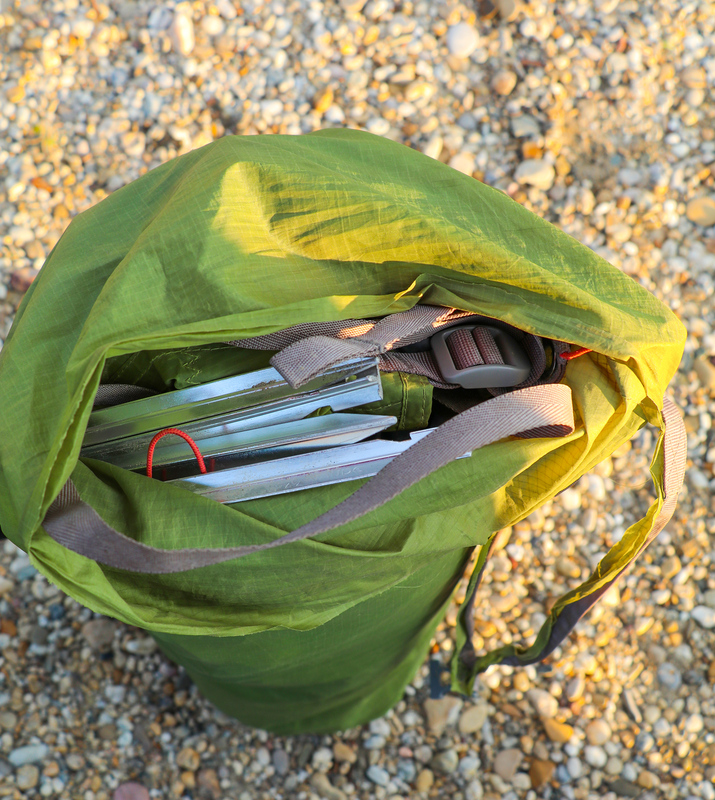 The poles and roof can be splitted between two backpacks so the weight distribution will remain perfect. The pack size is 20 x 60 cm (7,9 x 23,6 inch) is also pretty small. Lots of room for little weight: uncomplicated 3-season dome tent with steep walls for trekkers and backpackers. It sounds a bit funny but when it comes to the color of the flysheet, we are really picky. We like to have green or earth tone colored flysheets, to blend into nature. The green suited our criteria perfectly. Our general impression of the dome tent was initially really impressive. 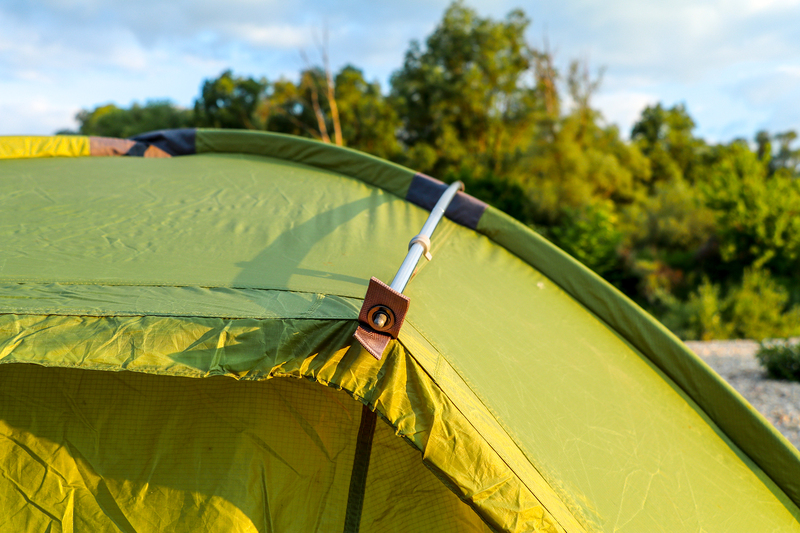 The pole pocket lets you pitch the tent from only one side, making it even easier and faster to set up. The Space L 3P is self-standing without the help of extra guylines. The construction of the awning is a failure. 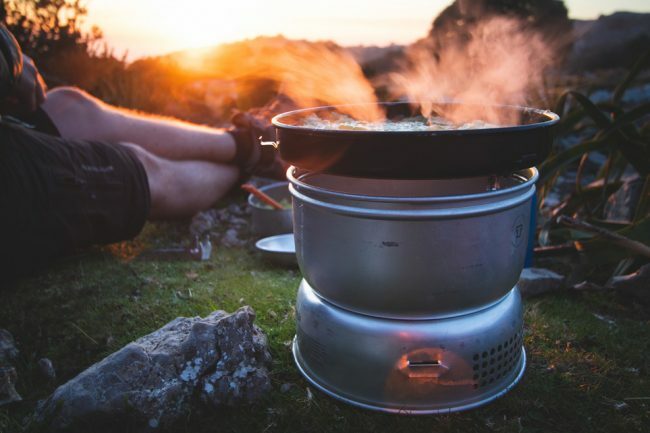 The tension of the flysheet creates a hollow in which water/ morning dew collects, which provides for a small shower when opening the tent in the morning. The inner tent offers many storage pockets and the possibility to hang small towels to dry. There is even a spot for a small light bulb in the middle of the dome. It has a very good ventilation concept. The inner tent is connected to the outer tent, which is why the construction can be done in just a few minutes by one person. To the dimensions: it is optimal for two people, as inside two thermal mats (65 cm | 25.5 inch wide) or one big one fit very well. There is a big awning on each entrance side, for luggage or if it is raining outside for cooking. The awning doesn’t have an underlay, which can be a problem if it’s raining and your luggage is stored outside. A bit annoying is that you always need 2 hands to get in the tent. The sipper always snags to the velcro of the awning. 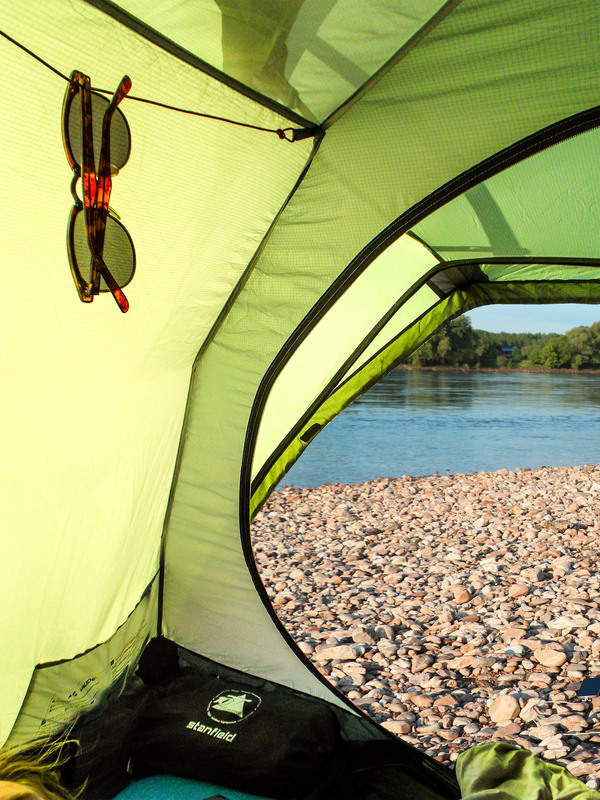 The small radius of the inner tent zippers make a smooth opening impossible. During hot summer nights, quite a bit of condensation water will collect on top of the flysheet. The ventilation of the Vaude in general is good. The underlay is extremely durable, even sharp stones and scrub couldn’t cut any holes in the fabric. The poles are very light and we never had any problems. Also the stormcords and spikes make a good impression. Even on rough terrain the spikes are working perfectly. The tentbag is superlight, after just a few days of using it, we had a ridiculous amount of holes in it. We haven’t been super gentle with our bag, but in this price range we expect a bit more longevity. The Vaude customer service didn’t help with this problem either. 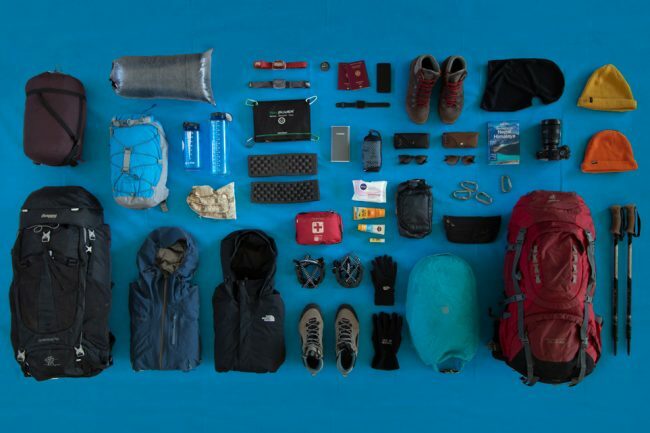 We always loved our Vaude, recommended it to everybody and were constantly looking forward to pitch it up. We used it quite a lot, but in hindsight, we were just extremely lucky with the weather. The first time it rained, all of our belongings were soaking wet. Not just in the awning but also in the inner tent. The name rainproof ventilation is a joke… a better name would be water intake. The hollow over the awning is annoying, but a construction failure which could be overseen, if there wasn’t the huge rain problem. The customer service is ok. 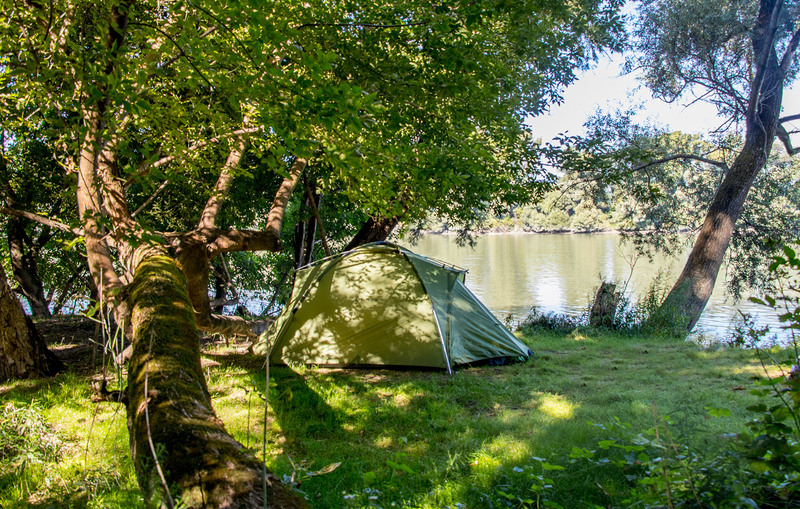 They didn’t help us with the tent bags, but we got a complete refund after the water problem. It took 2 month but in the end we got our money back.